There are some people who eat to live, and then there are those like me, who live to eat. Either way, we need food — which is why food policy is extremely important. Before the election, I wrote a column about what type of food policy we might anticipate from either a Clinton or a Trump administration. Now that President Trump is in office, there are some important considerations about where United States food policy will head over the next four years. Will it be delicious? Or sour? Throughout the campaign, Trump promised to crack down on immigration. He famously stated he was going to build a wall and have Mexico pay for it! 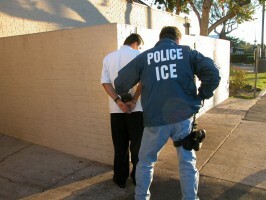 While it is not easy, Immigration and Customs Enforcement (ICE) has begun arresting undocumented individuals. The United States depends upon undocumented and immigrant farmworkers. In fact, according to the United States Department of Agriculture, the share of hired farmworkers not authorized to work in the U.S. has hovered around 50 percent from around 2001 until 2012 when their most recent data was collected. Per the National Farm Worker Ministry, a nonprofit working to advance justice for farmworkers, 78 percent of farmworkers are foreign-born, that is, are immigrants. The question remains, what impact will strict immigration policies and the construction of a border wall have on farms and the agricultural industry? While there is no crystal ball that can accurately predict the future, we can consider the past to see how things worked out the last time there was a push for stricter immigration policy. In 2011, Georgia learned with their House Bill 87, which they designed to “drive illegal immigrants out of Georgia.” The result was millions of crops not being harvested — farms lost money due to perfectly fine crops rotting in the fields. In fact, a 2008 article, “Contributions of Immigrant Farmworkers to California Vegetable Production” in the Journal of Agricultural and Applied Economics explored this very topic for California farmers. The authors indicate a reduction in immigrant and undocumented workforce will lead to unharvested crops. Furthermore, they note consumers will also incur higher costs for fruits and vegetables. The authors recommendation? A strongly advocated guest-worker program, not stricter immigration laws. The previous administration did a lot to promote healthy eating. In fact, Michelle Obama championed the Healthy Hunger-Free Kids Act which was an attempt to ensure school lunches were healthful. They were wildly successful, having improved the nutritional content by 30 percent. Overall, with the standards improved, school children were eating healthier meals. These policies are something to look out for since Republicans seem to support block grants all but ensuring far less federal oversight than had existed in the previous administration. In fact, there is already an attempt by Congressman Steve King to making changes to nutritional standards in school lunches. Furthermore, the Affordable Care Act had required chain restaurants and grocery stores that sell items “to-go” to clearly mark the calories of the food. This was to take effect in December of 2016, and is certainly jeopardy as the administration supports repeal of the Affordable Care Act. Some 300,000 restaurant chains and groceries are impacted by this mandate. While the verdict is not yet out on the whether clearly marking calories decreases consumption, individuals like Margo Wootan of the Center for Science in the Public Interest fully supports such requirements. Given that a little over one in three Americans are obese, there is certainly reason to be. If there is one place food policy and health policy intersect, it is in The Farm Bill. This bill, which will be renegotiated in 2018, funds both farm subsidies as well as the Supplemental Nutrition Assistance Program (SNAP, or food stamps). No doubt SNAP has been critical in ensuring supplemental caloric intake for Americans living in poverty. The leading causes of death for Americans relate to diet: cardiovascular disease, stroke and even cancers, to name a few. The newest head of Health and Human Services, Tom Price, is from Georgia – a congressman. Provided the confirmation hearings go smoothly, Sonny Perdue, former Gov. of Georgia, will be leading the Department of Agriculture. It will certainly be something to keep our eyes on. Will these two Georgia natives work together? Interestingly, when Perdue was Gov. of Georgia his cuts to the budget, particularly in the areas of food safety led to the largest food recall in America – from the Peanut Corporation of America. In his new role, Perdue will not be dealing with just peanuts, it will be America’s meat. Perdue even signed legislation preventing regulation of factory farms. As head of USDA, he will be deciding the fate of the Farm Bill and more. There are other areas of food policy to keep our eyes on: use of pesticides, continued decline of bees and pollution from large scale animal farms – these are at the top of my list. Stay tuned.